Sport management student Larissa Futter has a job with Auckland Netball. 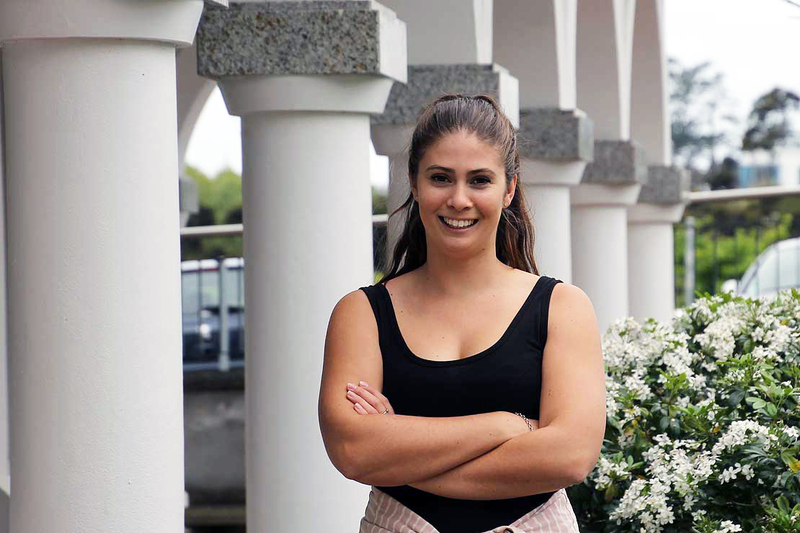 The first cohort of students to do Massey’s new Bachelor of Sport Management have yet to sit their final exams, but soon-to-be-graduate Larissa Futter already has a full-time job in the industry. As the marketing coordinator at Auckland Netball, she will focus on social media and sponsorship for the organisation, as well as implementing its advertising campaigns. Ms Futter says the Bachelor of Sport Management’s practicum placements were crucial to her employment success. “The practicum placements have been invaluable with networking and creating long-lasting contacts within the sport industry,” she says. Larissa Futter with her sport management class after their final lecture, and lecturers Dr Trish Bradbury and Dr Damion Sturm. The new bachelor’s degree was first offered by the Massey Business School and the College of Health in 2016. Prior to that, sport management was offered as a major within various business, science and health science degrees and consisted of only eight courses. Sport management lecturer Dr Trish Bradbury says the new three-year degree covers all aspects of the sport management industry. 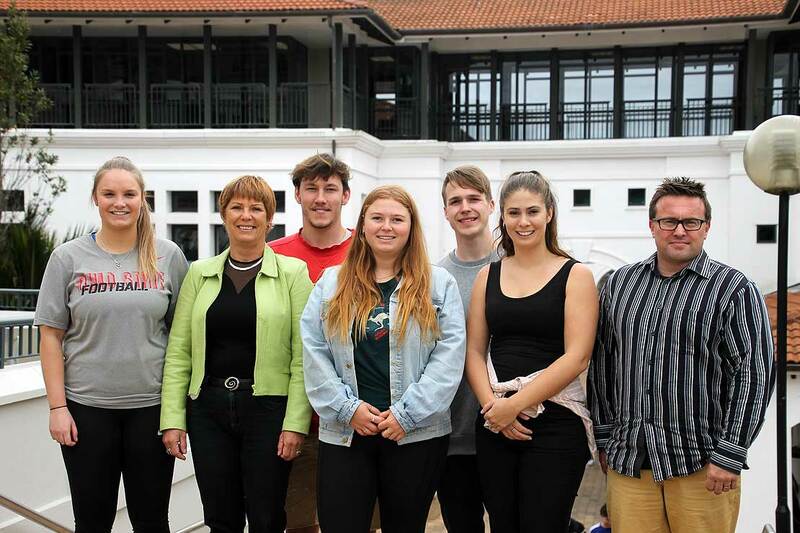 “The degree focuses on the business of sport, with four elective courses for students to supplement and support their sport learning, and offers plenty of opportunities to gain practical experience,” she says. Ms Futter's practicum placements with the ASB Classic tennis tournament and the Northern Stars, an ANZ premiership netball team, exposed her to a wide range of industry experiences. She assisted with marketing activities, meetings with sponsors, organising press conferences, managing events and maintaining membership databases. Her advice to those wanting to work in sport management is simple: get as much as you can from your time at university, especially your practicum placements. Masculinity in sport promotion: a contemporary crisis?